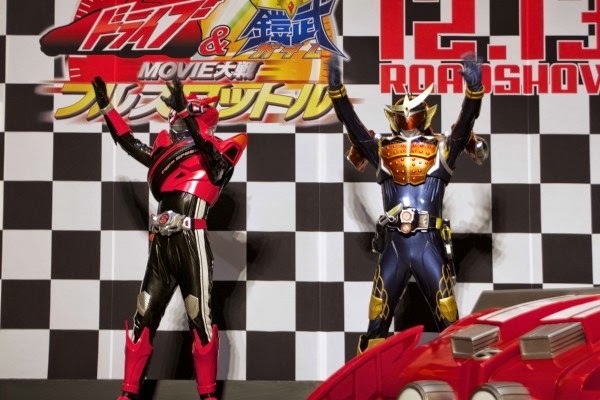 Here are the full story details for the new Kamen Rider Movie Wars explained in a brochure that was available from the movie's press conference. Be warned, may contain spoilers. 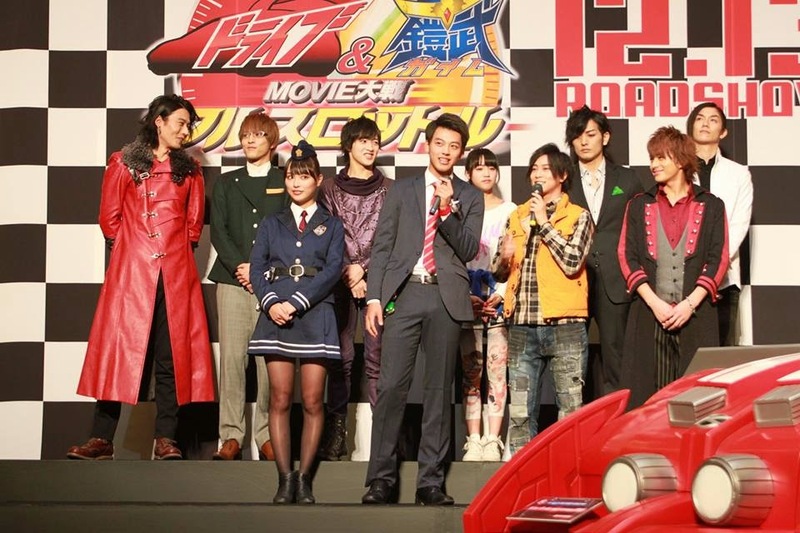 Part 1 - Kamen Rider Gaim: Advance to the last stage! After saving humanity from extinction, Kota and Mai set off to create a new world. However, time has passed and new life forms have come into existence. The unexpected occured, and an evil life form, Mega Hex (メガヘクス）showed up and showed no mercy, gradually taking control of the ‘new world’ and making his way to Earth. Kota attempted to follow only to lose his life!? Really? 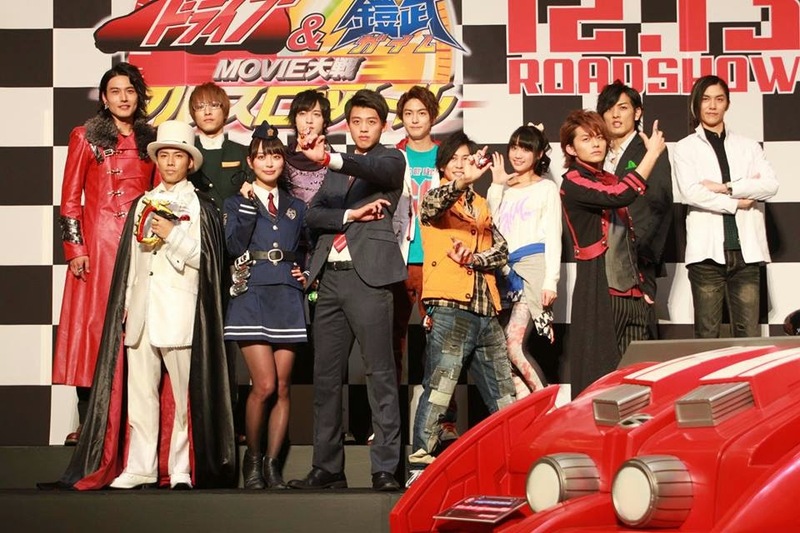 Meanwhile, on Earth, the ones left who possess Sengoku Drivers stand up to fight. Surprisingly, Sengoku Ryoma shows up to reveal having stronger powers at hand, but how? Why? Do Michi and his brother have what it takes to stop him? Have Kota and Mai been eliminated for good? Phantom Thief Ultimate Lupin (怪盗アルティメット・ルパン) appears and with special powers brings the Special Police Force down to their knees. 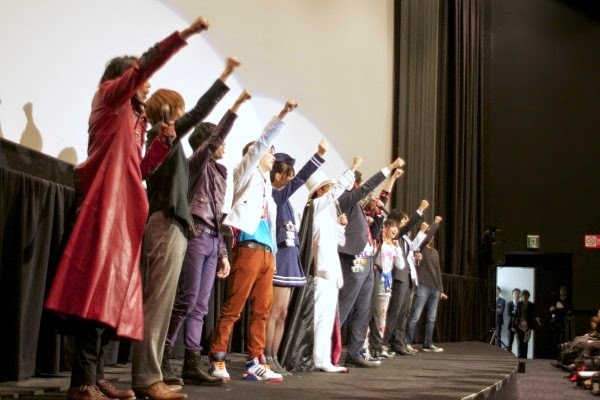 Having acquired the body of ‘Roimude Cyberloid ZZZ’ (ロイミュードサイバロイドZZZ), Lupin is out and has one goal. 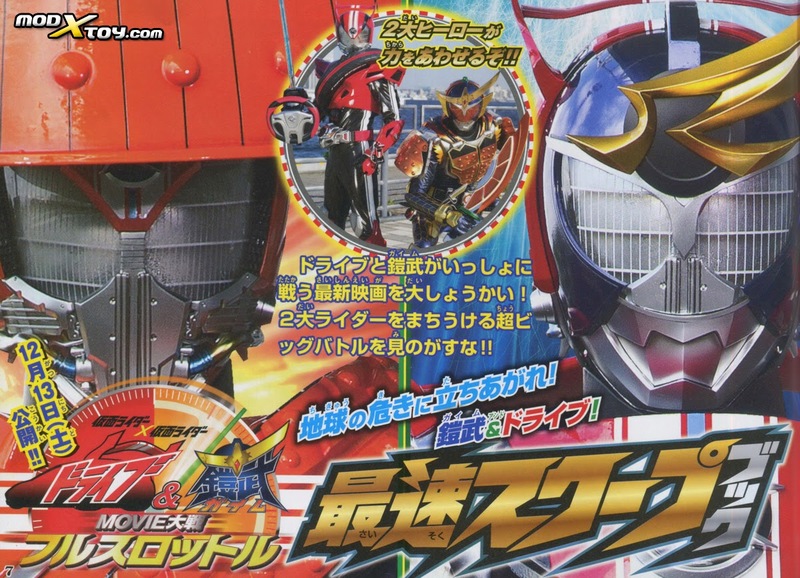 That is to destroy Kamen Rider Drive and become the only Hero. He transforms into Kamen Rider Lupin and sets off to shut down Kamen Rider Drive’s source of power, his Belt, and succeeds. Shinosuke won’t be able to henshin again!? This case has just gotten extreme! Will the Special Police and Shinosuke have what it take to stop this lunatic Lupin in his tracks? Mega Hex (メガヘクス）combines bodies with Cyberloid ZZZ (ロイミュードサイバロイドZZZ) to become ZZZ Mega Hex (メガヘクス). 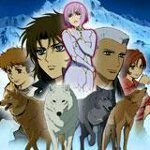 Shinosuke follows this new creature only to join forces with the Armored Riders. ZZZ MegaHex upgrades to a new form and a mega battle ensues. Not only on earth, but off into space! 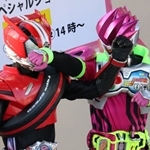 Detective Rider and Fruit Rider share and exchange powers. Will this be enough to stop this evil? 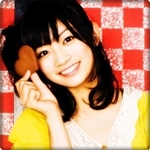 Directed by Takayuki Shibasaki (Kamen Rider Taisen) and written by Riku Sanjou (Kamen Rider Drive portion) and Jin Haganeya(Kamen Rider Gaim portion). 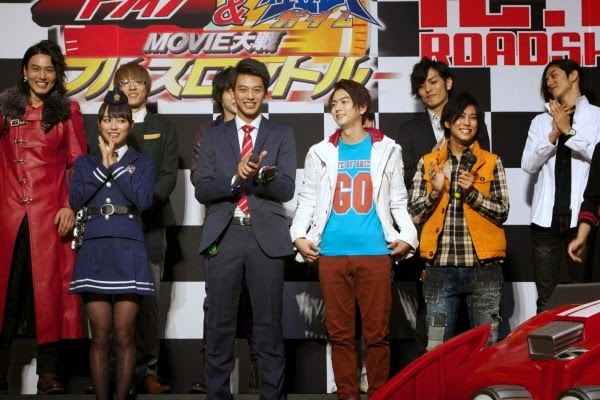 Kamen Rider x Kamen Rider Drive & Gaim: Movie Wars Full Throttle will premiere on Japanese cinemas this December 13th. Trotzdem n schönes Bild mit dem ganzen Cast. Ich glaube, damit schießen wir geringfügig über's Ziel hinaus. So, gerade den Film gesehen und ich muss sagen, er hat mir sehr gut gefallen. Fand es sehr schön, dass sich der Gaim Part vor allem auf Micchi und Takatora konzentriert hat. Auch Mai hatte viel Screentime und war weitaus aktiver als im Finale der Serie (OBWOHL sie im Film die meiste Zeit gefangen war). Die Story war spannend und die Kämpfe sahen super aus. Der Crossover-Part war in erster Linie mega-lustig. Shinnosuke und Kouta zusammen fand ich einfach zum Brüllen. 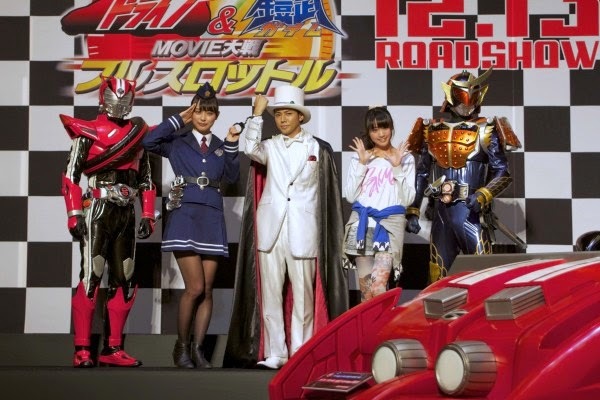 Fand's ein wenig schade, dass wir hier weder ne Showa- noch eine Heisei-Rider Cameo Sequenz hatten, aber das hat den Film jetzt nicht negativ beeinflusst. Ist nur ein persönliches: Oh, schade! gewesen, weil sie das ja bisher immer irgendwie gemacht haben. Die End-Sequenzen waren mega-knuffig, vor allem die von Gaim ging mir sehr ans Herz.